Idea Factory International has announced when Compile Heart’s Moero Chronicle Hyper will be launching on the Nintendo Switch eShop in North America and Europe. The game will be available on April 26, for $29.99 USD along with a 30% launch discount. Idea Factory International will be releasing the game digitally only, not planning for a physical version of the game. 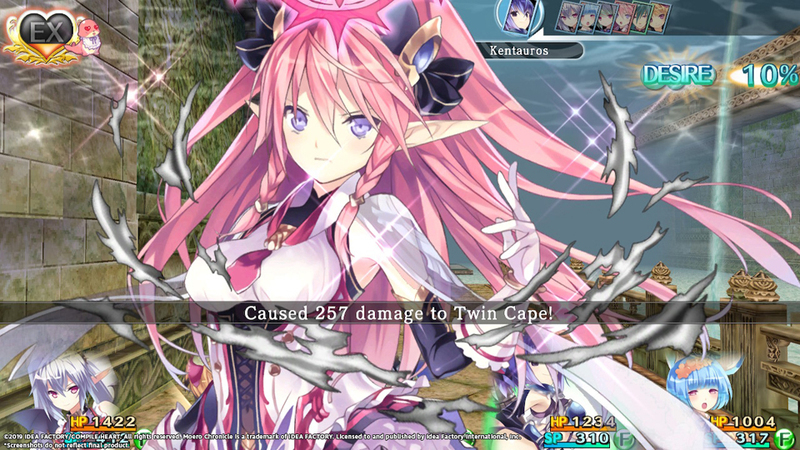 Moero Chronicle Hyper is a port of the game previously released on PlayStation Vita and Steam, including all the original art and CGs from the earlier versions. The Switch port also comes with a handful of new features, including HD Rumble from the Joy-Con in Bumping Scratch, new stat-boosting items, and an autopilot feature for navigating dungeons, in addition to remastering the game in HD. For those who want to learn more about the game, you can check out our reviews of the Asian English PS Vita version and the worldwide Steam version. More details on the game itself can also be found on its official site.